I met awesome people at Podcamp NY 2.0, SLCC 2008, and a bunch social media meetups, including the NYC Media Makers. I became a member of the FIC! There’s possibly more, things I’m forgetting (feel free to add them in the comments), and bad stuff that I really don’t feel like posting about here. But who cares! I get to make a bunch of new stories, mistakes, friends, lists and great memories for the next year! 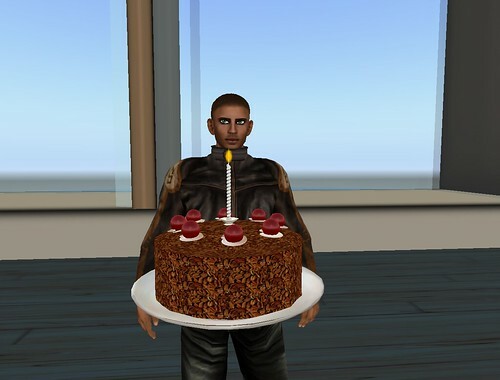 This entry was posted in Journal and tagged Birthday, Cake, National Nexeus Day. Bookmark the permalink. Happy Birthday to you, Nex. Wonderful post. I like the way you start and after that completion up your contemplations. An obligation of appreciation is all together for this information .I genuinely welcome your work, keep it up and thankful for granting information to me.